Planning to travel to France soon? These French travel phrases will surely come in handy! With just a few phrases, you can turn your holiday in France from good to terrific. A simple “bonjour” or “merci” will make a lot of difference, but with this list of phrases, you can turn it up a notch and travel even more confidently in France. The list below also contains videos to help you nail the correct French pronunciation. So make sure to practice using the videos! If you’re on Instagram, you can also follow Talk in French there for lots of videos on French words, phrases, expressions, and so much more. Met someone interesting and wondering what the person’s name is? Ask away! But remember to use tu and vous appropriately in the right situation! Comment t'appelles-tu? - What's your name? Got a question? Before you fire away, here’s how to begin. J'ai une question. - I have a question. Où se trouve __? - Where is/are __? Time is of the essence when you’re traveling. If you want to know how much time you’ll be spending on your way to a certain place, this is what you need to ask. Combien de temps faut-il pour aller à ...? - How long does it take to go to ...? Looking for something specific like uncommon French pastries or perhaps the best chocolate shops in Paris? Say no more, we got you covered. Où puis-je acheter un/une/des...? - Where can I buy a ...? Don’t get lost when driving in France! You can easily pull over and ask someone which exit you need to take. Go on, don’t be shy. Quelle sortie dois-je prendre? - Which exit should I take? Shopping! Aaahh, how glorious it is to shop while on holiday. To ask about the price of an item, here’s what to say. Combien cela coûte? - How much is this? Whether you’re at a shop or at a restaurant or cafe, this phrase would come in super handy! Je voudrais __ s'il vous plaît. - I'd like __ please. Same as the previous phrase, but this one is for a more pressing need. Regardless of what you need to get, this is what to say. J'ai besoin de __. - I need __. If you need help, don’t hesitate to ask! And oh, a little trivia: did you know that the distress call “Mayday” came from this phrase? Now you know! Pourriez-vous m'aider? - Could you help me? After someone helped you, it’s only proper to thank them correctly. This is what you’ll say. Merci beaucoup pour votre aide. - Thank you very much for your help. There goes that French person, talking too fast for you to keep up. Easy, just ask them to repeat what they said and they won’t mind. Répétez, s'il vous plaît. - Repeat it, please. A French person just talked to you in straight French and you’re at a loss on what he’s saying. It’s okay to say you don’t understand a word he said. Here’s how to do it. Désolé, je ne comprends pas. - I'm sorry, I don't understand. Finally giving up and wishing to just speak in a different language instead? Maybe that French person you’re talking to knows a bit of English! Ask away! Parlez-vous __? - Do you speak __? You’re just tired of following along to French people talking and you just want to stop trying already. There, there. Take it easy. Simply say you don’t speak French and they’ll understand. They probably know already anyway. Je ne parle pas français. - I don't speak French. So there you go. 15 French travel phrases to help you navigate your way around France. 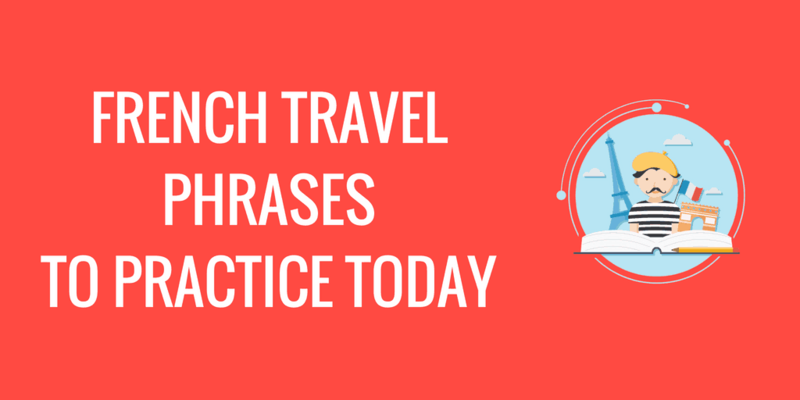 Want to try your hand in a short quiz on French travel phrases? Check out the quiz here. 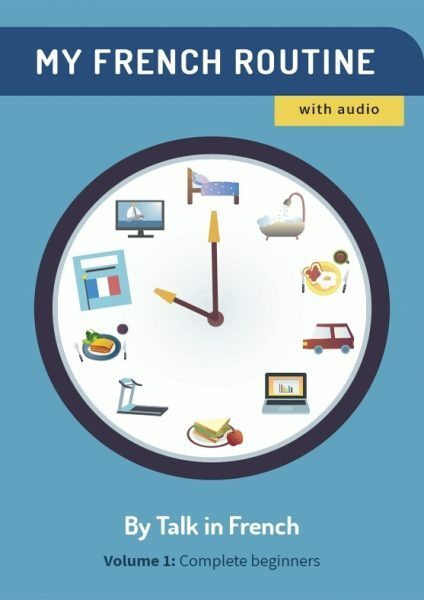 To help you travel in France with confidence, this big French phrasebook will help you say everything you need to say at the right place and time. See below for details. Previous Post 77 French Words and Phrases to Learn This Summer Next Post Quiz: Do You Know How to be Polite in French?